I got a week off from My Day Job®. In addition to participating in the usual holiday festivities, I have been industriously beavering away at some significant changes for 2014, this mysterious new Cardboard Warriors board being just one of many items on my to-do list. Long story short, paper model design was one of my part-time jobs in 2012. In November 2012, Denny Unger flew out to my secluded cabin in the woods in a black helicopter and laid down an impassioned "Colonel, Canada needs you once more!" 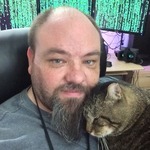 speech, and I began a new full-time career as a C# programmer working in videogameland. 2013 was an extremely busy year for me, and one of the things that slapped me in the face like a wet trout was the fact that my trusty old commercial paper model workflow required significantly more time than I actually had, and some streamlining was in order. To minimize the amount of time I have to spend on stuff that doesn't actually have to do with working directly on paper models, I pruned away as much of the time-sink stuff as possible, starting with completely eliminating direct sales. No more paperwork, bookkeeping, or administrative crap to deal with, which means I'll no longer find myself in situations where all of my limited weekend time ends up being spent on customer service emails and store maintenance instead of actually working on models. Anything that I sell, going forward, will be strictly through third-party marketplaces like Wargame Vault, RPGNow, and DriveThruRPG. The 4 items in the catalog will be archived as soon as I have a chance to deactivate them on Wargame Vault, to clear the path for fresh new content. Second thing getting pruned soon is the Genet Models forum. When I first set it up, it didn't require anyone to register to post, and it was like a big, fun, feature-heavy shoutbox that didn't require remembering yet another username/password pair. That was great, up until a wave of spambots started targeting the hosting service I used (Nabble) a couple months ago. I was forced to take the forum offline temporarily until the waves of drooling spam zombies shambling around moaning "Freeeeeee....pooornnnn", "Maaaaaale....enhaaaaaancement" and "Booooootleg....soooooftwaaaaare" subsided. However, after locking things down to a spam-resistant level, the biggest attraction of the forum (not needing to register to post) was gone. I asked Squirmydad if I could move the forum activity over here instead, which would save me the time of maintaining and policing a separate forum. He agreed, and here we are. Big thanks to Squirmydad for getting me set up here! I'll be moving my workbench activity over here and repointing the forum link on the Genet Models website to point to Cardboard Warriors. I don't have any super-ambitious plans for 2014. When you boil it all down to its purest essence, the part of the job I like the most is making fun little paper toys that other people enjoy, and that's the one part of it I want to focus my attention on during my weekend breaks. It's good to have you here and I certainly hope your stay will be pleasant and spambot free. Thanks, and I think it will be! I think that was someone else--I've never done any ABC robots. Ah, I don't design figures on account of the fact that I can't draw people to save my life. I mean, like, my attempts make a small child's refrigerator drawings look like Albrecht Dürer masterpieces in comparison. All I did along those lines was recolor Jim's Terra Force troopers. Ah - OK, could have sworn those Bots were yours ... goes searching. Oh, yeah! Tommygun does some nice stuff. gilius: You're welcome, and thanks! Really looking forward to 2014 and anything new from Genet. I've really enjoyed making Chris' models in the past and would love to see and buy more in the future. I'm looking forward to more of your work as well! I hope you will make more bugs! I love your bug models! More 16 hour war is also something that I absolutely love, some more Trilateral ships to go against my growing collection of Crotale ships! As you know I've been a huge fan since the early 2005! I'm just excited to see some activity. Between WWG and Genet being so dead this last year I'd started to get out of paper modeling. It's so good to hear news from you, Chris. And I'm delighted to know that we'll get to discuss your models and plans here with us. It has been a pleasure doing business with you when your models where up to sale, I'm relieved that I effectively bought most of them now that you are offering them freely. I really wanted to feel that I rewarded the creator of these models somehow (even if it was a pizza now and them as you once said). Yeah. I didn't realize just how little free time I was going to have for papercraft stuff, and the workflow I had before is too time-intensive to yield effective results in the time I have available. I had to make some changes. Chris, thank you for your generosity in sharing such extraordinary models with us. While my gaming focus is almost exclusively fantasy, I find myself daydreaming about playing Starship Troopers or some other dystopian story of the far future, just so I can make use of your stuff. WackyAnne: You're welcome! I'm glad to be here and am looking forward to seeing what the new year brings. It's gonna be fun! Floyd: Oh, man, long time no see! How've you been? TYVM C ... In the pipe, 5-by-5. Will you be adding the UCM3 format files with the PDFs in the archives? I'd really love to get some lime green walls in place. 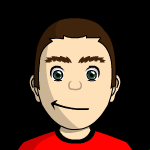 Many thanks for the zip files as well - my Radon Zombies (see avatar) will make great use of them. I doubt it. UCMViewer 2 and 3 were written a long time ago in a language that was already obsolete at the time, and UCM never really caught on to boot. I don't even have the source code for them anymore, and I can't really provide effective technical support for something that I can't fix or improve. OK thanks anyhow - I will go with the brown. Just out of interest: what computer language are you referring to as obsolete? Visual Basic 6. I vaguely recall having some weird issues when developing UCMViewer that required me to rely heavily upon C++ declares and Windows API calls to get any real graphics work done, and some parts of it didn't quite play nice with Windows XP and Vista initially. Microsoft was heavily pushing developers to use the newer .Net framework and started yanking the rug out from under VB6 developers in the early 2000s. I ended up looking for a replacement for VB6--the closest thing I found was Realbasic, but it was kind of a buggy and unreliable language at the time. I switched tracks from desktop to web development for a number of years. I wrote UCMViewer 5 in Visual Basic .Net a few years ago on a whim, but it was more of a personal project to keep my coding skills sharp and was never really intended for serious commercial deployment because it wasn't cross-platform. I'm a C# developer nowadays, and just got into Objective-C/Cocoa recently. If I ever redeveloped UCM, I'd want it to be cross-platform. That said, I don't really have any personal aspirations along those lines because editable PSDs and layered PDFs are somewhat more practical and ultimately offer more flexibility. Thank you for putting up your old models, and I will look forward to buying some new ones when you can put them out. Best wishes for success with Cloudhead AND Genet! I for one was a big fan of UCM and bought many of the UCM models. I've always found it a big shame that it didn't catch on. It would have been really great for paper miniatures as well. Highland Piper: TOPO did a set of UCM2 paper soldiers once, which worked rather well. I also recall at least one other person taking a stab at it, but the details are fuzzy.